We are very excited to have this Q & A with you, thank you very much for taking the time to answer a few questions about your superb London based digital beauty concierge app. What was your inspiration for Ruuby? "I launched Ruuby because there was such a clear gap in the market for high end, on demand beauty services. I was inspired by companies like Uber and Deliveroo, which changed the game so fast." "I wake up very early and go to the gym before work. If I do this, I am set up for the day and work much more efficiently. My day is then spent both in the office, where I work closely with our tech team developing concepts for the app and site, and also operations - much of what we do is operations based, and so we are always looking to improve the way in which we improve the service. We always have beauty therapists coming through the office, too, so we are always trialling different beauty treatments (which is fun). Then I will be in meetings - all kinds. With investors, beauty experts, other entrepreneurs… the dynamism makes it really fun." What was your start up journey like and what is one piece of advice would you give to yourself back then? "Its been an amazing two years, and the most special part of it all is seeing something grow out of nothing. When we started, there was no chance we’d be able to work with certain brands, but as we’ve grown and evolved, everything becomes possible." "The one piece of advice I would give myself when starting is to make use of the freedom that comes with early stage companies. If it doesn’t work, you can change it. Immediately." What are your essential beauty treatments each month? "I need manicured nails. They make me feel put together and capable. I also love a facial. Now is the time to start to really look after our skin’s texture, and facials ensure consistent hydration, and I think the longer term impacts are great." What's your go to save-the-day product? "Erborian tinted moisturiser. Its magical; the best in the business. Also a slick of Chantecaille lipliner." Do you have any tips for keeping on top of a beauty regime? "Consistency is key, and a healthy lifestyle. If I let mine slip, so does my beauty regime." Who are your biggest beauty crushes? Which people or products have you jumping for joy? "I love young, cult beauty brands. Eyeko is amazing - the eyeliner is so easy to apply, and I am a convert to the cat eye. Darphin is my favourite skincare. The quality of botanical ingredients is phenomenal." Tell us a time when you've had a beauty disaster! "When I was young I used to use the free makeup you received on magazines. Never a good look." What are your favourite fashion brands, and what trends do you see coming the summer? "I really love Vivetta. I am all about the feminine details; their collars are wonderful. I will be channelling ladylike elegance this summer - long, silk skirts and trousers, and large straw hats!" Speaking of summer, what are your summer plans? "I want to go to San Sebastian and learn to surf." Tell us the last thing you borrowed and from whom? "I always borrow from my sister. 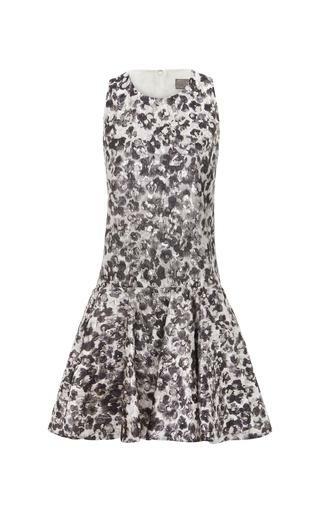 She has great dresses - last thing I borrowed was a floral Erdem number for a birthday." What are your top 3 favourite OPRENT pieces? "I love all the Giambattista dresses, and the decadent Biyan jackets." Visit Ruuby.com to book your first appointment.